Here in Chicago we’re anticipating the gardening seaseon (come on Spring! ), and I’m taking stock of our gardening “stuff.” I’ve got quite a collection of garden tools, and since our little girl Fidget started to help in the garden last year, she’s got her own collection of tools, too. I was thinking – what better way to keep all of our tools in order than to stitch up a few organizers? It didn’t take me long to find a bunch of awesome tutorials and projects – and here are my favorites! So cute! 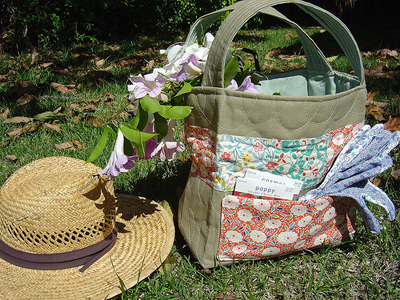 This Quilted Garden Tote designed by Handmade by Alissa is big enough to hold basic tools and has a pocket for little things like seeds and gloves. Get the downloadable PDF pattern from Sew, Mama, Sew! 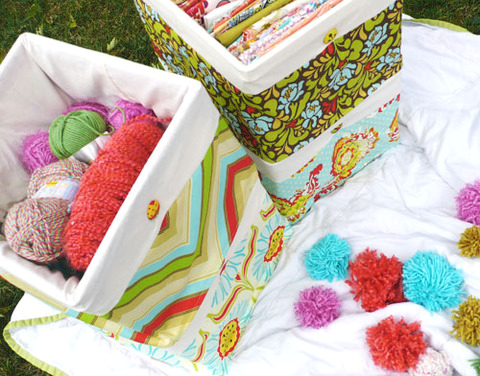 Laura Gunn at Paint in My Hair invented these super bright crate covers, and I think they would be perfect for storing gardening tools and outside stuff (especially if made with a dark color inside). Get the full Undercover Crate Tutorial from Paint in My Hair. 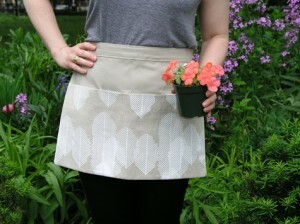 This cheery apron just makes me want to get out and dig in the dirt! Lots of pockets, too. 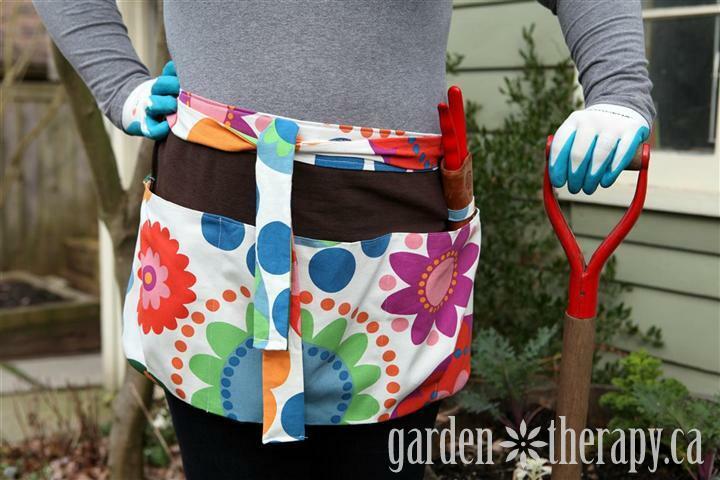 Find the DIY Summer Blooms Garden Apron tutorial free at GardenTherapy. 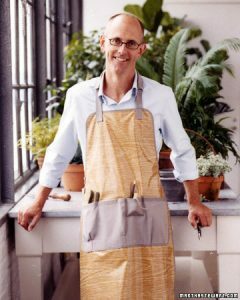 I love the subdued colors of Brett Bara’s apron, and you can find the full Gardening Apron tutorial at DesignSponge. This is the perfect apron for really keeping clean! 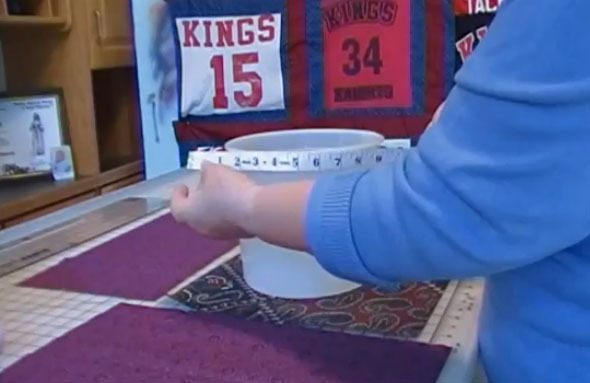 Find the full pattern and tutorial for this Gardener’s Apron at Martha Stewart’s website. I hope you enjoy these projects! Do you have a favorite free gardening project or tutorial that I missed? Please share a link with us!